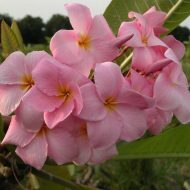 Home	> Shop	> Plumeria	> From Australia	> Gold Coast Peach- BEST OZZIE FRAGRANCE! 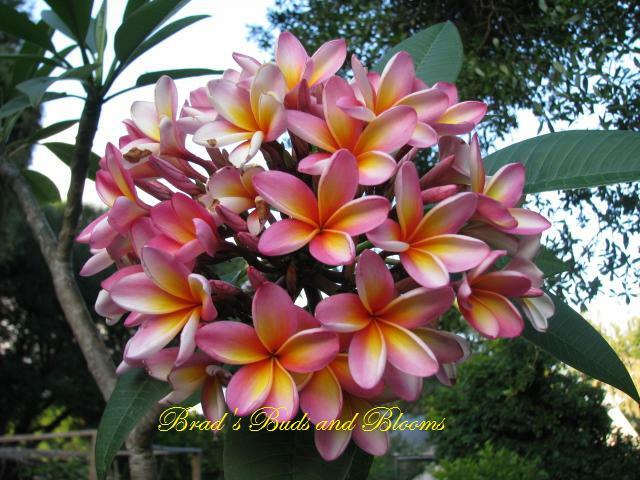 Gold Coast Peach- BEST OZZIE FRAGRANCE! 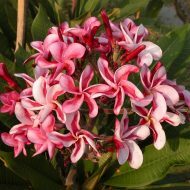 Extremely Fragrant! 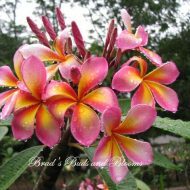 This Aussie beauty was registered in 2006 by Brad’s Buds and Blooms with the Plumeria Society of America (PSA). 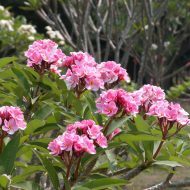 The 3″ blooms are a showy, sweet pink, ranging from deep pink at the petal edges, to light pink near the center. 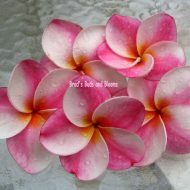 Filling up the rest of the petal is a large, brilliant gold and orange heart. 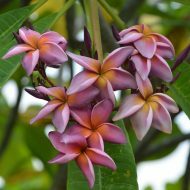 The flowers appears in large, tight bouquets and the inflorescences last for many weeks, The scent is like a combination of jasmine, coconuts, and a prominent note of hot cinnamon candies. 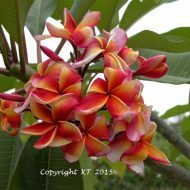 To us, this is the best Aussie plumeria for fragrance out of the many we have collected over the years. 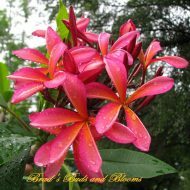 This is a very compact grower. 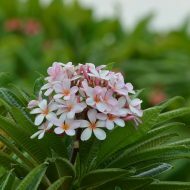 Rooted plants-NOT GRAFTED—-plants measure 11″-13″ from the soil line. Registered with the PSA as “Gold Coast Peachy”.